If you're going to go through the trouble of creating a blog, then you want others to be able to find it, right? Start with a list, and then narrow it down. Your first step should be to write down every possible name that you can think of, related to your niche blog topic. The more options, the better, because you will narrow down your list in the next steps. 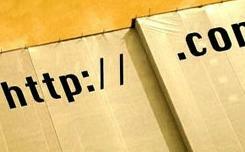 Tools like Micro Niche Finder can be a great way to create a list of possible domain names. Keyword research. In order for search engines to find your blog's domain name relevant, you should pack some powerful keyword phrases into the domain name. Keywords are the terms people use to find your niche when they search the web. For example, if your blog is about antique blown glass, then you would expect web surfers to use terms like, "blown glass," "antique glass," and even "antique blown glass" to find a site like yours. Before you choose a domain name, you should do some keyword research using a tool like the Google Adwords Keyword Tool in order to find keyword phrases that have a high search volume, but that have low competition. Using the previous example, you can search the term "antique blown glass" to have the keyword tool return to you data about that phrase's strength, as well as other, related terms that might also work. Stay true to your niche. You might be able to find a number of great keyword phrases, that you know will be strong in the eyes of the search engines. Just keep in mind that your domain name should also speak for your blog's topic. For example, the Google keyword research tool may present a term like "blown glass windows" as one of your strongest keyword phrases; however, if your blog is nothing about windows, then you should forego that term in favor of something more fitting. You don't want people who land on your blog to feel as though they've been tricked into visiting. As you can see, there are some very simple steps you can take to choose the perfect domain name for your niche blog. Follow these tips to name your blog, and then you can get to the fun part of writing. Happy blogging! Read - How To Name Your Website?